Think beyond the coconut chutney, curry leaves, peanut or gram dal chutney. Consider adding lots of coriander leaves to your tomato onion chutney and experience the flavors of dhaniya/ coriander leaves and the loads of nutritional benefits that comes along with it. Most kitchens will have tomatoes, onions, some greens like dhaniya , curry leaves and some peanuts or gram dal . 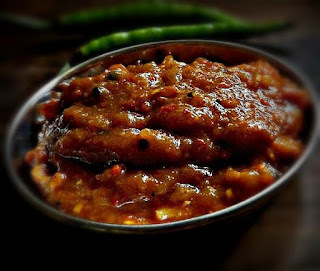 So it is easy to make a quick chutney by adjusting the quantity of available ingredients. Unlike coconut chutney these are low in calories and so you dont have to stop with a tbsp . 1 cup finely chopped coriander leaves. 2 tbsp sesame oil to sautee the ingredients. In a pan add some sesame oil, let it heat up, add the ingredients mentioned above except coriander leaves, curry leaves. jaggery, salt . sautee well . Add the coriander leaves and curry leaves just before removing from oil to prevent too much wilting . 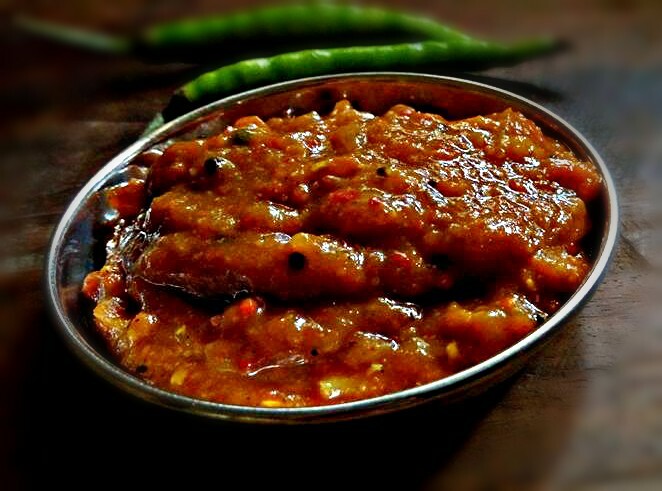 Let the ingredients cool, then grind to a paste without adding water.Add salt and jaggery while grinding. Temper with mustard seeds and asafoetida powder. Store in a air tight container and it stays good for a week. Benefits of adding coriander leaves. Coriander leaves/ dhaniya leaves a a great storehouse of dietary fibre, magnesium , iron and some amounts of calcium, potassium, thiamine, niacin and carotene. Said to lower cholesterol, increase HDL or good cholesterol levels. Good for diabetics, has Vitamin K , Vitamin A, and immense inflammatory properties. It has anti septic properties good to cure mouth ulcers, good for eyes and treatment for conjunctivitis. Coriander leaves or cilantro is good for treating anemia , improves iron levels, good for memory, promotes good nervous system health.